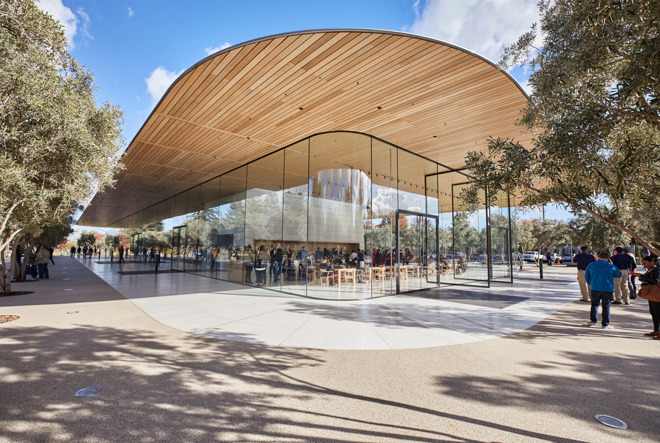 Cupertino locals were invited to Apple Park on Friday morning for their first glance at the new Visitor Center overlooking the new headquarters. 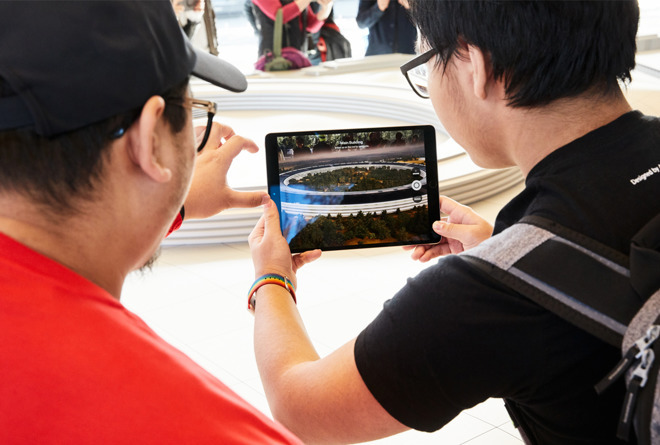 The augmented reality presentation is based around a scale model of Apple Park, and employees will hand visitors iPads with the software loaded on it. As visitors pan the iPad over the model, information about that particular building pops up. 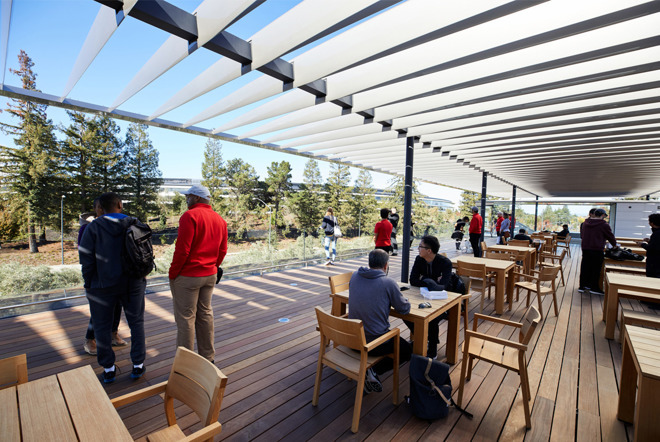 Company filings in the summer of 2015 described the visitor's center as a two-story facility with a 2,386-square-foot cafe and 10,114-square-foot store, topped by a carbon fiber roof and observation deck situated 23 feet above ground level, with 684 underground parking spaces. 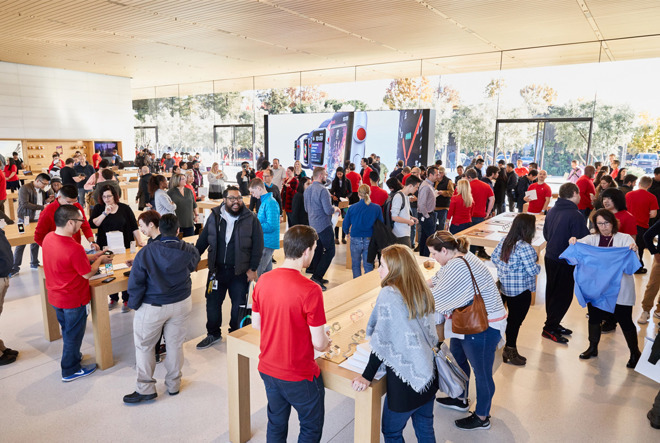 Apple plans to operating the new visitor center from 7 a.m. to 7 p.m. on weekdays and 9 a.m. to 7 p.m. on weekends.